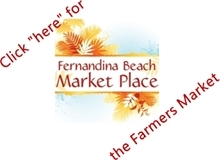 The Fernandina Beach Market Place farmers market and the Fernandina Beach Arts Market will be open every Saturday through the end of the year. These rain or shine markets are open from 9:00 a.m. to 1:00 p.m. and are located on North Seventh Street in historic Fernandina Beach, between Centre and Alachua Streets. Vendors of both markets welcome you to browse their shops, taste their samples, and ask questions. Farmers and artisans alike, love to talk about their craft. Whether farming, ranching, producing, or crafting, their products are their babies. They’ve been grown from a dream and nurtured with love into a wide variety of amazing things they would love to share with you. Bark-N-Bake, our dog treat vendor, originally began making dog treats for their own dog who had a sensative stomach. It was from this love for their dog that they now share these great treats with your best friends. This week they will have a peach harvest peanut butter cookie with sliced peaches, and if your dog prefers more basic treats, check our their chicken feet. Tagged Autumn Markets. Bookmark the permalink. 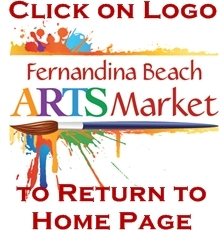 Fernandina Beach Arts Market | Powered by Mantra & WordPress.